james sent me a link to a listing for the studio pictured above yesterday, as he’s wont to do, and it was a lovely reminder of what is in store for us in the near future. I immediately saved the picture to my desktop as something to hold onto for the next 18 months when we’re both chasing our own respective dreams in two different cities. our first apartment together was a studio smaller than this one, albeit it had a separate kitchen that was way bigger than the one above. the one thing we didn’t like about it was that in order to use the bathroom, you had to walk through our closet. it was awkward & it annoyed us to no end at the time, but looking back, I realize just how lovely that space was. sure, it had a mishmash of furniture we bought off of craigslist, friends, & ikea, it had dubious heating & cooling, and bringing groceries up four flights of stairs was a witch, but it was probably the best apartment we’ve had in terms of coziness & how happy we were. we moved out to an awful one-bedroom when our lease was up the next summer, and then we moved to a nicer, modern one-bedroom, and then ultimately into a two-bedroom unit before moving back in with my parents last august. maybe it’s the delusion of hindsight, but I feel now that those later apartments had more features & more space, and we had more money & more stuff, but we had less simplicity & really, less enjoyment. I’m amazed at how good we had it & that we didn’t realize it. a year and a half on from moving back home, I’m itching for a place of our own again, and it’s been a lovely process to realize that the next place I’m looking for as our very first home as a married couple is very much like the first place we had. some place simple & easy & just enough for two people starting a new chapter in their lives. p.s. 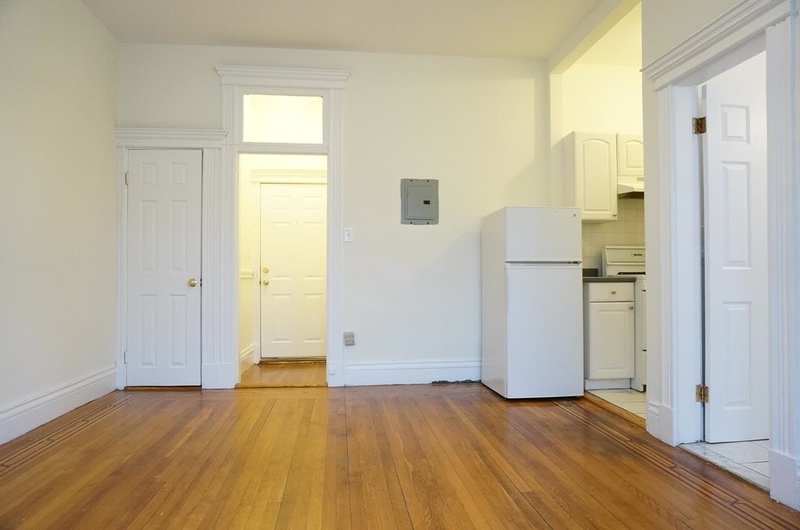 if you’re looking for a room to call your own in the boston area, here’s the exact listing (& image source) that got me dreaming.